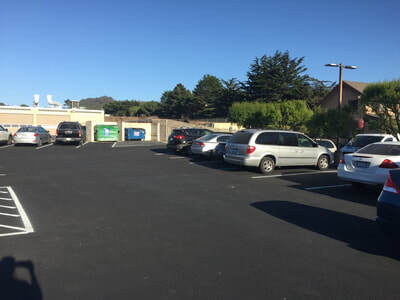 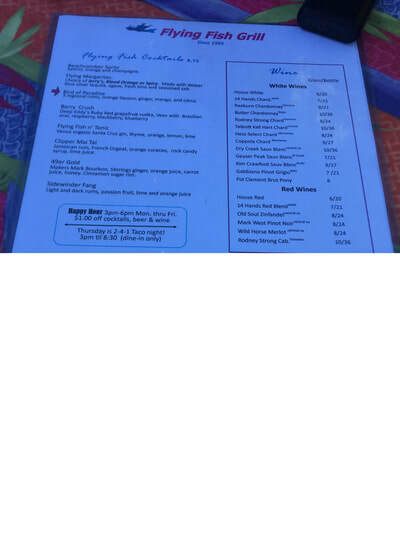 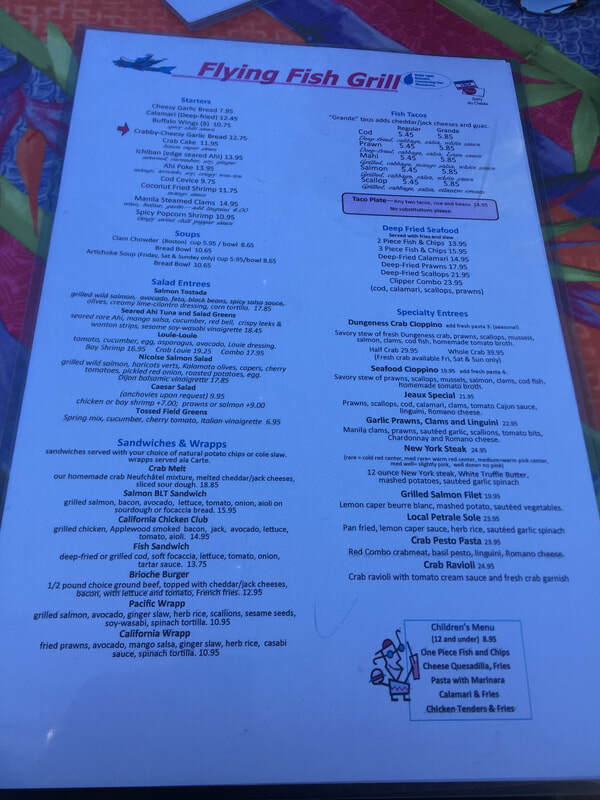 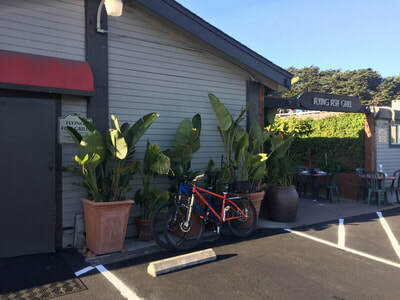 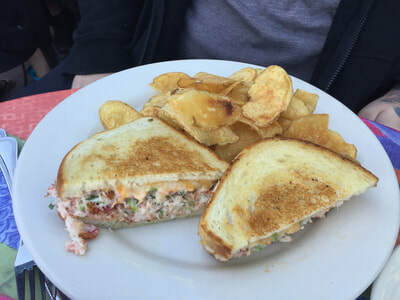 Description: This is a great restaurant with fresh seafood and flavorful dishes. 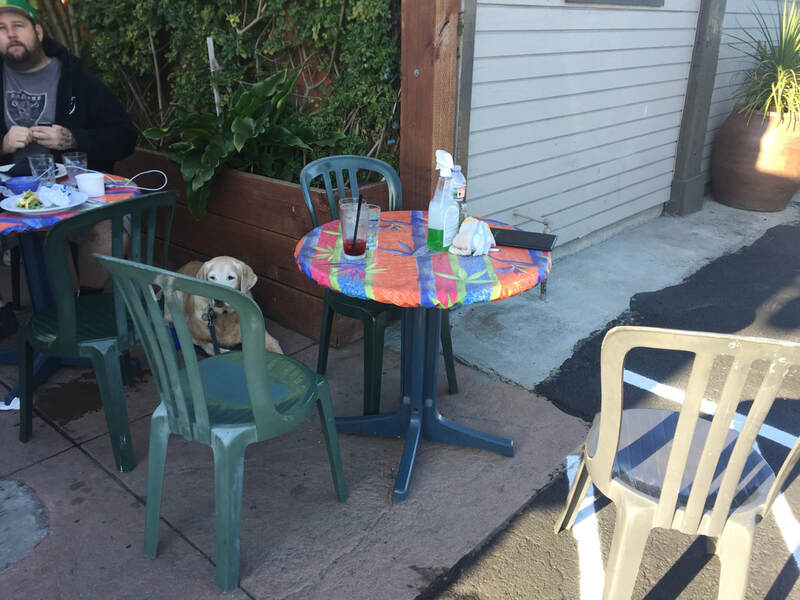 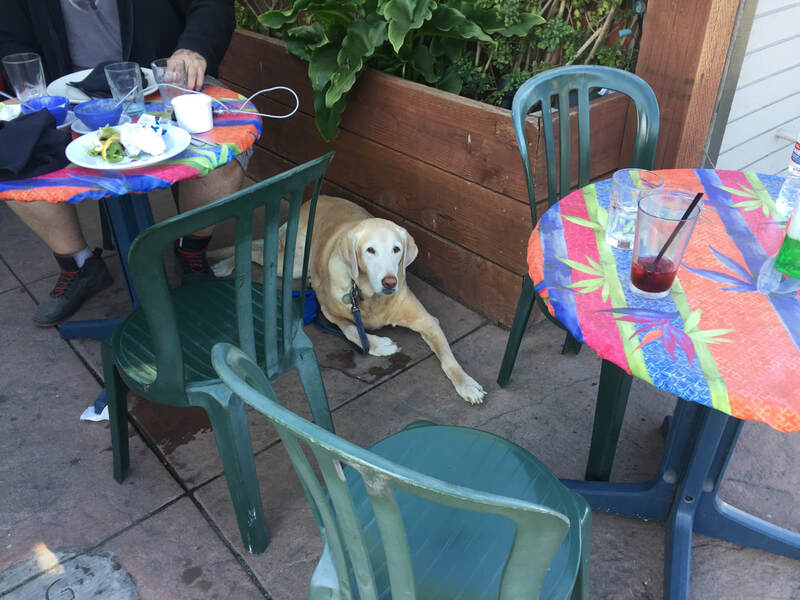 They have 3 tables outside where you can sit with your dog, and also a bench where you can wait if the benches are full. 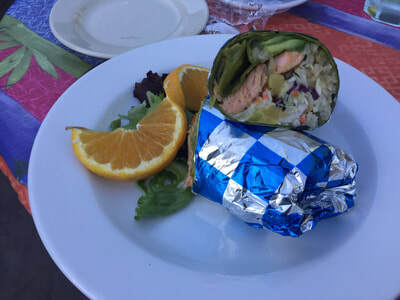 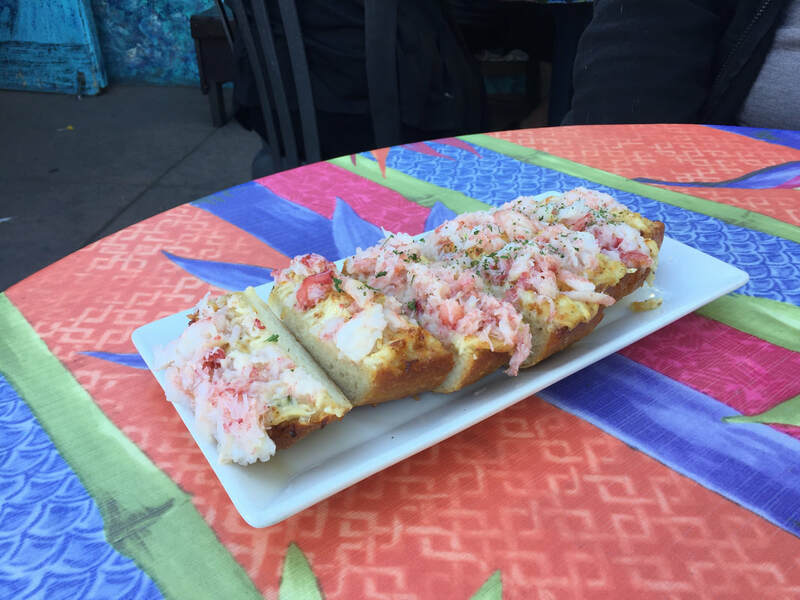 The crab garlic bread was a delicious starter, and the ginger and salmon wrap was fresh and packed with flavor. 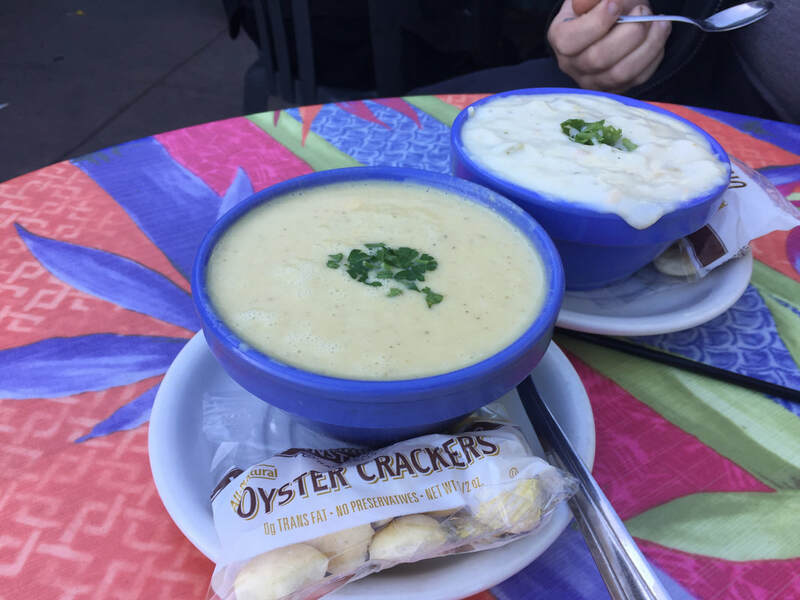 They also have unique dishes like artichoke soup, and a clam chowder just as good as SF. The area outside is mostly shaded throughout the day, so bring a jacket as it can get chilly. 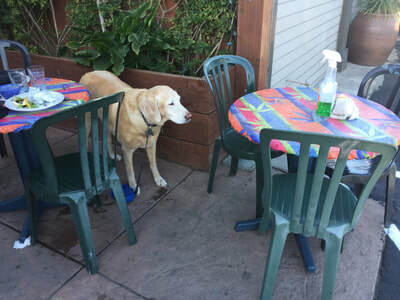 Staff is friendly and will even bring you a take out bowl with water for your dog. 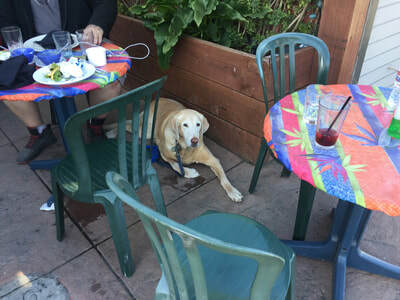 Although there’s not a lot of outdoor space, there was plenty of room for Bailey to stretch out.